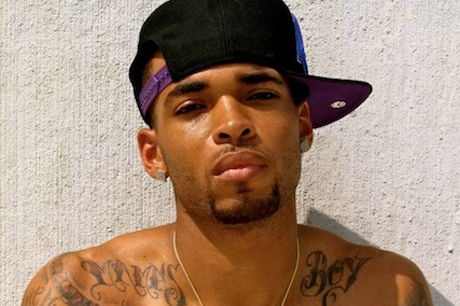 The man accused of shooting and killing rapper Slim Dunkin (aka Mario Hamilton, pictured above) earlier this month over an alleged candy dispute turned himself over to Atlanta police yesterday (December 26). According to the Atlanta Journal-Constitution [via Hip Hop DX], rapper Young Vito (aka Vinson Hardimon) is currently being held at Fulton County jail on murder and gun possession charges. Investigators working on the case believed Hardimon to be the one who had argued with Hamilton at a video shoot at an Atlanta-area recording studio on December 16, which apparently escalated over Hamilton snatching a piece of candy from the accused. The conflict is said to be the reason behind the shooting. Authorities had put the word out through local media that they were advising the alleged killer to turn himself in, warning that he himself could be in danger. "I got a call today from his attorney," Atlanta police homicide Det. David Quinn said. "He said he wished to turn himself in." Hardimon arrived at Atlanta police headquarters yesterday before being transferred to Fulton County jail. The rapper has reportedly been in trouble with the law before, with at least four incidents running back to 2004. Past charges include aggravated assault, child cruelty and traffic violations. Each arrest has also included charges for carrying a gun.